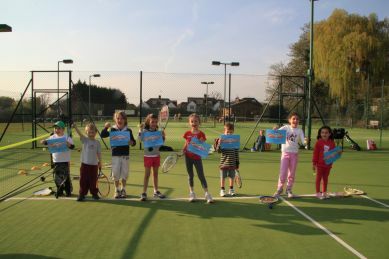 We offer membership for Tennis, Squash and Cricket,including significant discounts for tennis/squash combined memberships, drop-In tennis classes (week day mornings/Sunday afternoons, members and non-members welcome), plus various term-time/Saturday/holiday Tennis, Cricket and Multi-Sport camps for kids. Our grounds are beautiful, spacious, green and very safe; we are a true bucolic haven - the best-kept secret in central London. Come and party at our clubhouse! Host a grand croquet tea party, laser-tag birthday, community family sports event or wedding anniversary, using two large-sized rooms, kitchen, grass area and free parking. Email for more info, timetables, flyers : admin@brondesburysc.co.uk. Following on the amazing achievement of our head coach Marina Lavarello in winning the LTA's Middlesex Coach of The Year 2015 award, Brondesbury has been awarded the LTA's Middlesex Club of the Year 2016 award. Our popular Junior Programme is suitable for all ages from 3 to 16. All our sessions are led by one of our experienced LTA qualified coaches. Groups are constructed around a weekly theme, which help the children to develop an all-round game. Players are split into smaller groups by age and ability. Regardless of your child’s tennis-playing ability, all players will benefit from our fun-filled, intensive tennis holiday camps. Bookings are available for days and weeks, as well as half days, full days and extended hours for working parents. We offer 10 sports to choose from, including football, hockey, tennis, cricket, netball, table tennis and rounders. Our courses are specifically designed to improve children’s sporting experience, in a fun and relaxed learning environment. Our experienced team of LTA qualified and licensed coaches run sessions suitable for all abilities. All classes work on a drop-in basis and with lots on offer there is something for everyone to benefit from and enjoy! £52 for 7 sessions, £42 for members (you can mix up the lessons) or from £9 pay as you go. Having been founded in 1887, many International and County players have represented the club (both past and present), including Mike Gatting, Sourav Ganguly, Dermot Reeve, Nick Compton, Billy Godleman, John Simpson and Ravi Patel. The club has four senior XI's; two of whom got promoted in 2016 (the 1st and 2nd XI). As well as this, we have two Sunday teams and a thriving Colts section - run by Primrose Hill CC. 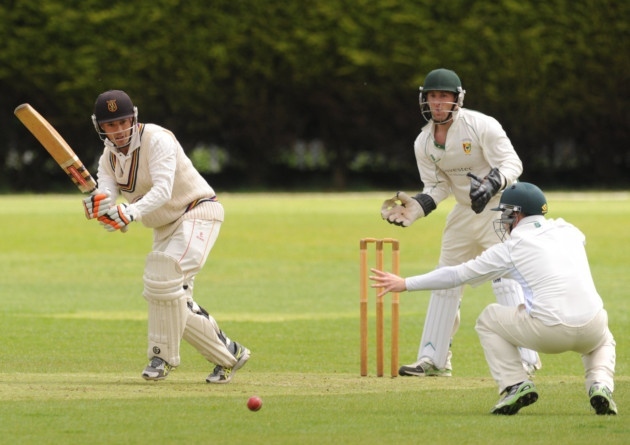 We are affiliated with the MCB, CCC and ECB CA, as well being members of the Middlesex County Cricket League (Premier Division), 1987 Cricket League and Chess Valley Sunday Cricket League. Social members are welcome and in line with developments to the picturesque ground, sponsorship packages are available upon request. Pre-season training will commence in January 2017 at Lords Cricket Ground. If you are interested in joining this successful cricket club, please email brondesburycc@gmail.com or contact James Overy (1st XI Captain) on 07756783444. We are a two court club with plenty to offer for beginners to the more advanced players. 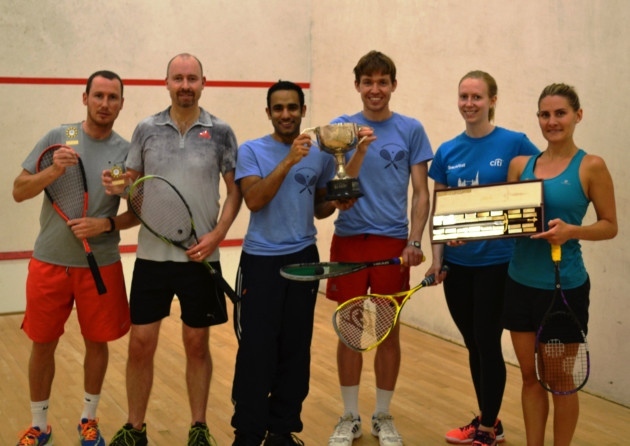 We have regular social evenings, internal box leagues and two teams who play in the Middlesex Squash Leagues. We're also the Middlesex Club of the Year 2016! For membership enquiries contact the squash club secretary at squash@brondesburysc.co.uk. Please check out the Newspage for information about upcoming events and developments at the club or our Events Calendar. If you would like any information about becoming a member please visit the individual section pages - Cricket, Tennis, Squash or Social. Contact details for section membership secretaries can also be found on our Contact Us page. You can apply online by clicking on Apply To Join in the menu on the left. The Club has parking for a limited number of cars. Please park considering both pedestrians and other drivers; vehicles need to be able to get in and out of the drive and be able to turn around. These vehicles include school buses and delivery lorries-they need space. Thank you for your consideration.